Drew graduated from Swarthmore College with Highest Honors and obtained his Ph.D. in Organic Chemistry at Harvard University (Prof. David A. Evans). He then undertook postdoctoral studies with Prof. Stuart L. Schreiber at the Broad Institute of Harvard and MIT within the Center for the Science of Therapeutics. There he used high-throughput screening and chemical biology techniques to identify drug candidates that modulated cancer cell stress phenotypes and to elucidate these molecules' cellular mechanisms-of-action. 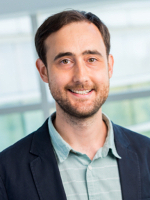 Drew joined the Case Western Reserve University Genetics Department in 2015 as an Assistant Professor, and in July 2018 he was appointed as the Thomas F. Peterson, Jr. Professor of Cancer and Energy Research. Drew also serves as Director of the Small-Molecule Drug Development Core, a newly-built facility enabling high-throughput screening to accelerate academic drug discovery efforts. The Adams Lab builds on Drew's unique interdisciplinary training, which spans organic chemistry, chemical biology, and drug discovery. Our specialized expertise and drug discovery instrumentation has led to productive collaborations with multiple researchers in neurodegenerative disease at Case Western Reserve University. A central focus of the lab is currently to identify drug candidates that promote the formation of oligodendrocytes, the specialized cell that produces myelin in the brain. Loss of oligodendroctyes underlies many neurological diseases, including multiple sclerosis and pediatric leukodystrophies. Specialized brain stem cells ('oligodendrocyte progenitor cells') are known to have a limited capacity to replace lost oligodendrocytes, but this innate repair process can be overwhelmed in the context of disease. Future 'remyelinating therapeutics' that kickstart the formation of new oligodendrocytes represent a regenerative medicine approach that may accelerate the regeneration of functional myelin and have therapeutic impact in these debilitating diseases. Our work, a close collaboration with Prof. Paul Tesar (Case Western Reserve University) as well as Prof. Robert Miller (George Washington University), provides a new understanding of how drug candidates impact brain stem cells to enhance myelin repair. Our landmark paper, published July 2018 in the leading scientific journal Nature, describes how more than two dozen drug candidates that enhance oligodendrocyte formation share a common ability to inhibit specific cellular enzymes that help make cholesterol. As a result, the sterol substrates of these enzymes accumulate and signal to promote the formation of new myelin. 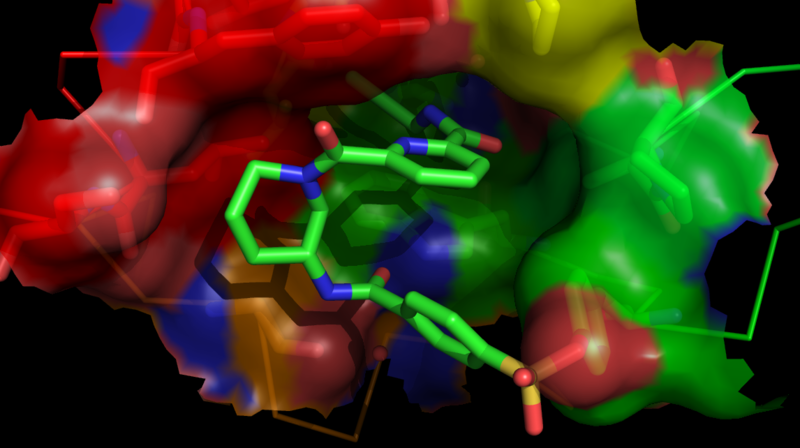 This new insight, which powerfully unifies and explains results obtained by labs across the globe, provides new drug targets, new potent drug leads, and new sterol biomarkers to guide the future development of remyelinating therapeutics. 2-Chloropropionamide As a Low-Reactivity Electrophile for Irreversible Small-Molecule Probe Identification. A genetic basis for the variation in the vulnerability of cancer to DNA damage. Yard, B.; Chie, E. K.; Adams, D. J.; Peacock, C.; Abazeed, M. E.
Adams, D. J.; Ito, D.; Rees, M. G.; Seashore-Ludlow, B.; Puyang, X.; Ramos, A. H.; Cheah, J. H.; Clemons, P. A.; Warmuth, M.; Zhu, P.; Shamji, A. F.; Schreiber, S. L.
Integrative radiogenomic profiling of squamous cell lung cancer. Synthesis of piperlogs and analysis of their effects on cells. Synthesis, cellular evaluation, and mechanism of action of piperlongumine analogs. Evans, D. A.; Adams, D. J.; Kwan, E. E.
Evans, D. A.; Adams, D. J. Simultaneous and stereoselective formation of planar and axial chiralities in enantiopure sulfinyl iron diene complexes.